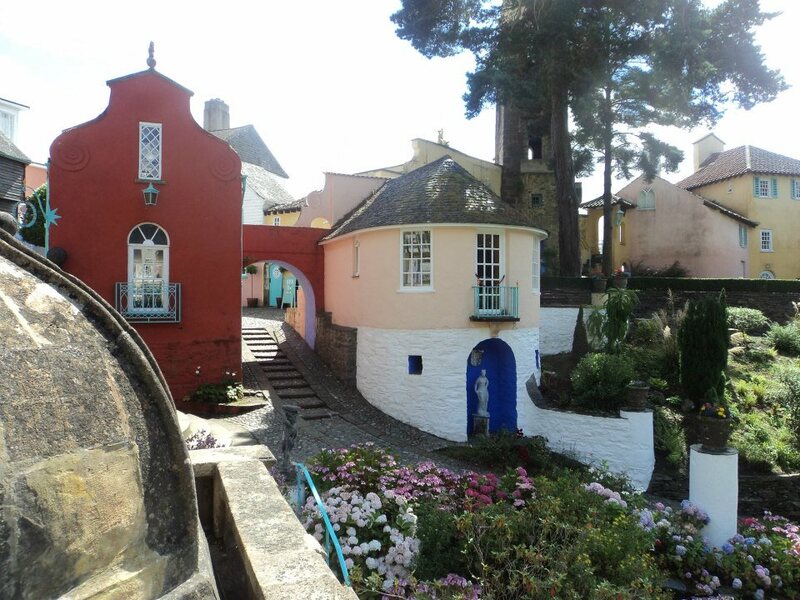 Sir Clough Williams-Ellis, Portmeirion’s designer, denied repeated claims that the design was based on the town of Portofino, Italy. He stated only that he wanted to pay tribute to the atmosphere of the Mediterranean. He did, however, draw from a love of the Italian village stating, “How should I not have fallen for Portofino? Indeed its image remained with me as an almost perfect example of the man-made adornment and use of an exquisite site.” Williams-Ellis designed and constructed the village between 1925 and 1975. 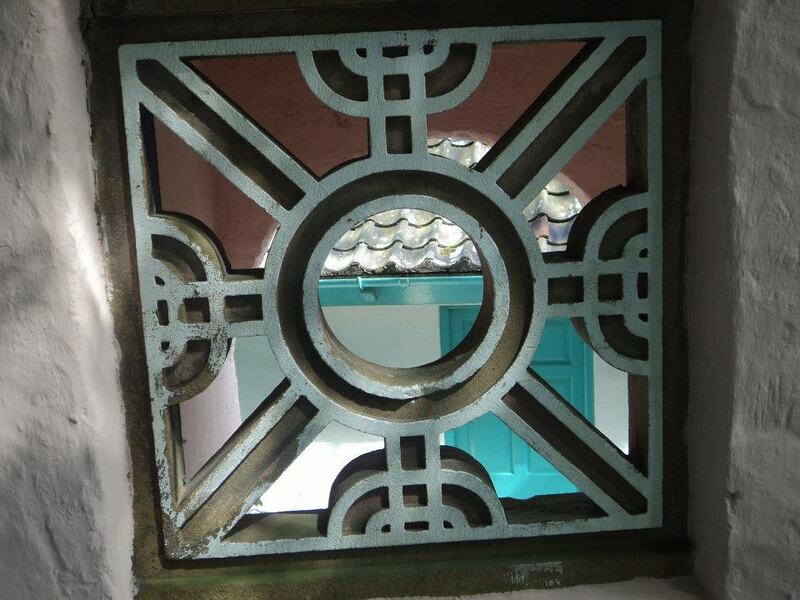 He incorporated fragments of demolished buildings, including works by a number of other architects. 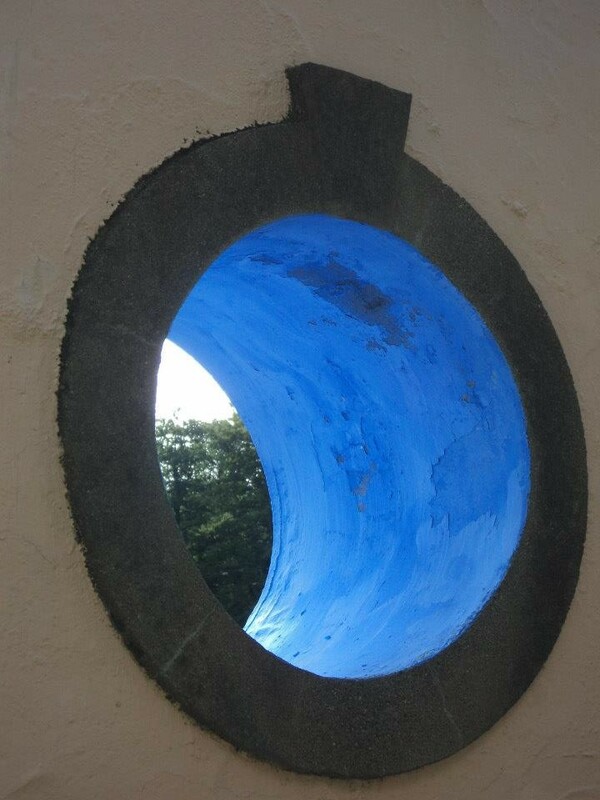 Portmeirion’s architectural bricolage and deliberately fanciful nostalgia have been noted as an influence on the development of postmodernism in architecture in the late 20th century. 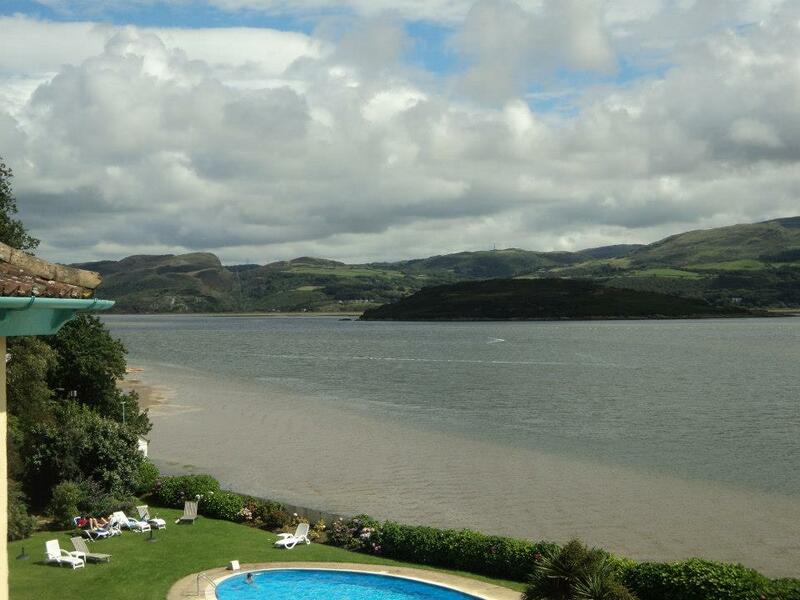 The main building of the hotel and the cottages “White Horses”, “Mermaid”, and “The Salutation” had been a private estate called Aber Iâ (Welsh: Ice estuary), developed in the 1850s on the site of a late 18th Century foundry and boatyard. 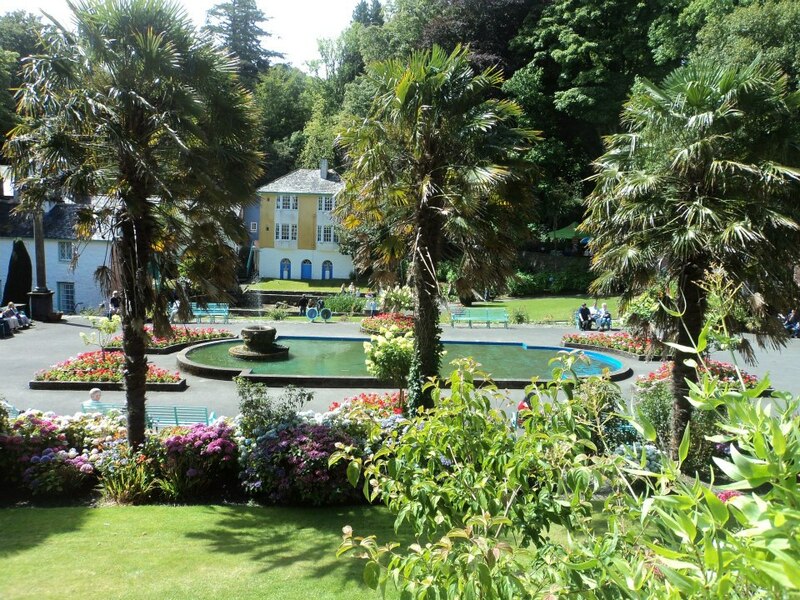 Williams-Ellis changed the name (which he had interpreted as “frozen mouth”) to Portmeirion: “Port-” from its place on the coast; “-meirion” from the county of Merioneth (Meirionydd) in which it was sited. The very minor remains of a mediaeval caste (known variously as Castell Deudraeth, Castell Gwain Goch and Castell Aber Iâ) are in the woods just outside the village, recorded by Giraldus Cambrensis (Gerald of Wales) in 1188. 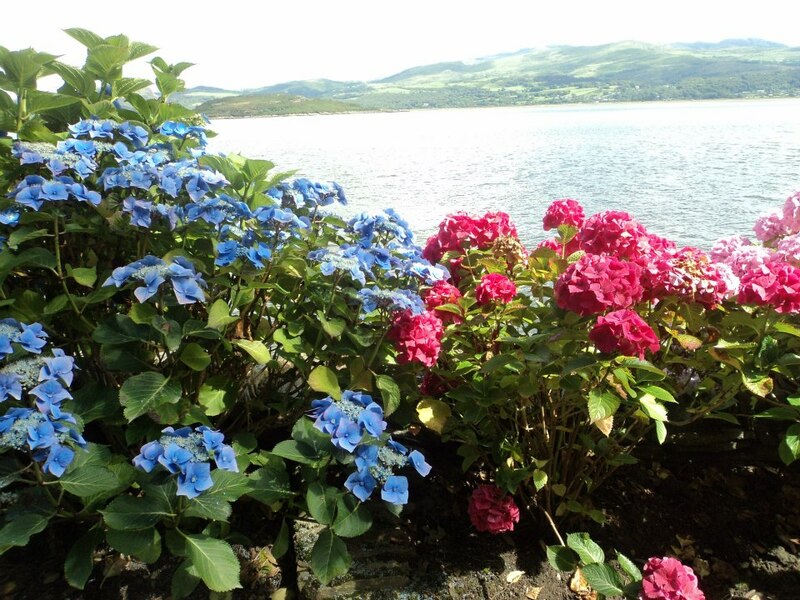 In 1931 Williams-Ellis bought from his uncle, Sir Osmund Williams, Bt, the Victorian crenellated mansion Castell Deudraeth with the intention of incorporating it into the Portmeirion hotel complex, but the intervention of the war and other problems prevented this. Williams-Ellis had always considered the Castell to be “the largest and most imposing single building on the Portmeirion Estate” and sought ways to incorporate it. Eventually, with support from the Heritage Lottery Fund and the European Regional Development Fund as well as the Wales Tourist Board, his original aims were achieved and Castell Deudraeth was opened as an 11 bedroom hotel and restaurant on August 20, 2001 by Welsh opera singer Bryn Terfel. Powis Castle is a medieval castle, fortress and grand country mansion located near the town of Welshpool, in Powys, Mid Wales. The residence of the Earl of Powis, the castle is known for its extensive, attractive formal gardens, terraces, parkland, deerpark and landscaped estate. 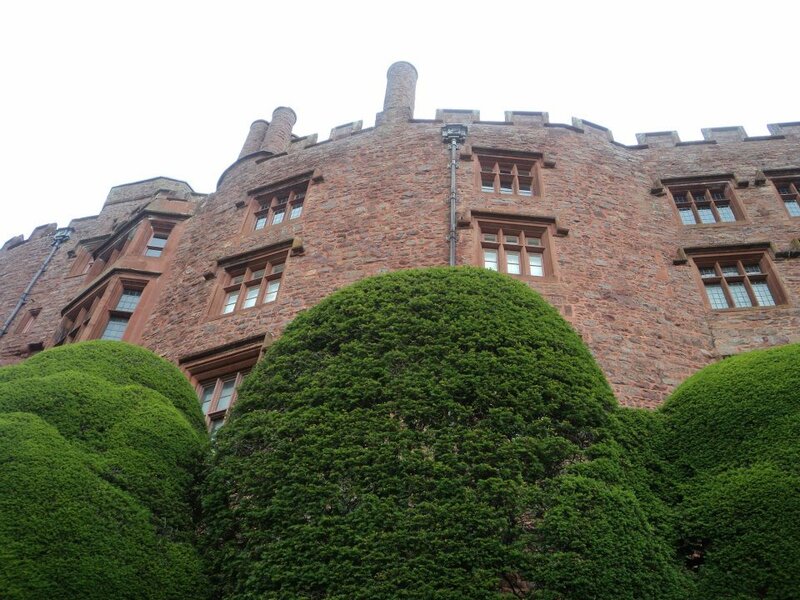 The property is under the care of the National Trust, who operate it under the name “Powis Castle and Garden”. Powis, unlike the castles Conwy, Caernarfon, Harlech and nearby Montgomery, which were all built by the English to subdue and rule the Welsh, was the fortress of a dynasty of Welsh princes. In 1266 four years after Edward I’s conquest of Wales, Owain ap Gruffydd ap Gwenwynwyn, the last hereditary prince of Powis, renounced his royal claim title and was granted the title of Baron de la Pole, (e.g. 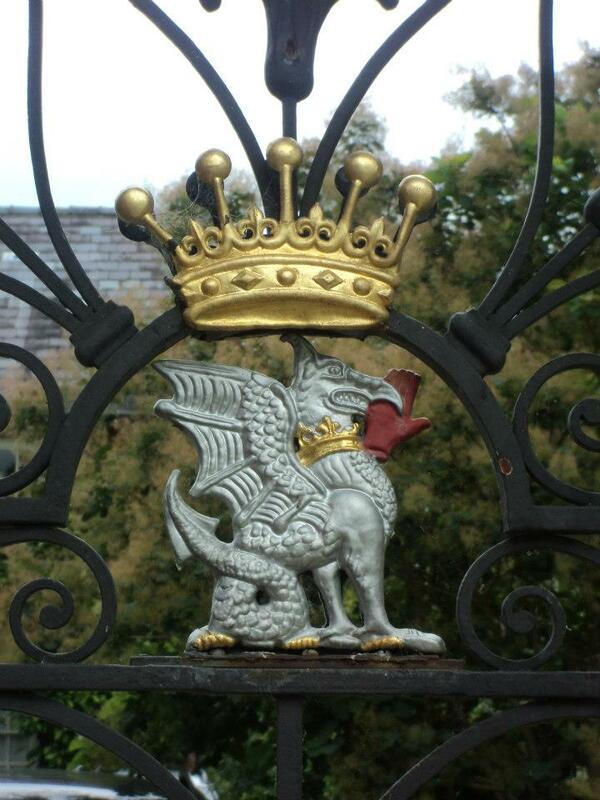 “of the Poole” a reference to Welshpoole, formerly called just Poole and the location of Powis Castle). The ancient Kingdom of Powys had covered the counties of Montgomeryshire, much of Denbighshire, parts of Radnorshire and more anciently large areas of Shropshire. In 1587 a descendant sold the lordship and castle to Sir Edward Herbert (d. 1595) second son of the first Earl of Pembroke. Sir Edward’s wife was a Roman Catholic and the family’s allegiance to Rome and to the Stuart kings was to shape its destiny for over a century. On 22 October 1644 Powis Castle was captured by Parliamentary troops and was not returned to the family until the restoration of Charles II. The magnificent State bedroom was installed in about 1665 and further improvements were carried out during the 1670s and 1680s, possible under the direction of William Winde, who may also have designed the extraordinary terraced gardens. Winde’s employer was William, third Lord Powis (c.1626–1696), who was created Earl (1674) and then Marquess (1685) of Powis. Barred by his Catholic faith from high office under Charles II, Lord Powis became one of James II’s chief ministers and followed his master into exile in 1688. Thereafter King William III granted the castle to the 1st Earl of Rochford in 1696. 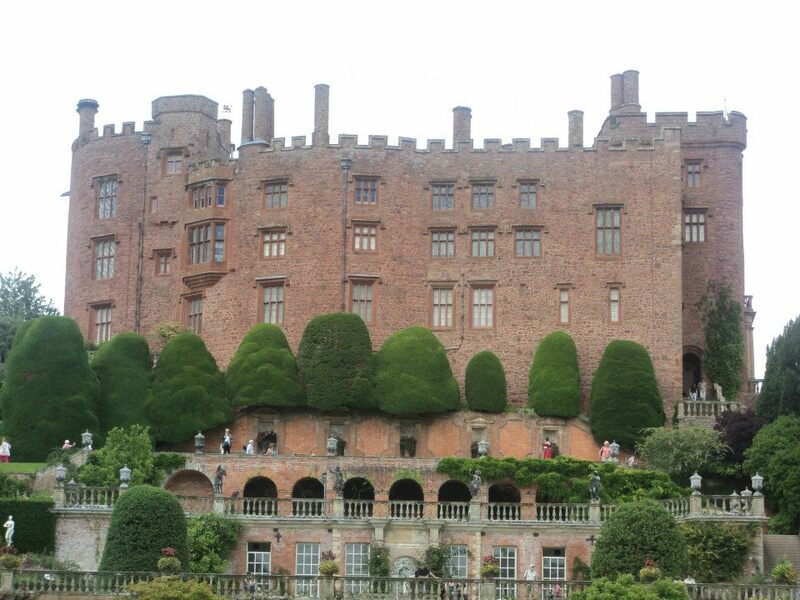 The second Marquess was reinstated in 1722, and on the death of the third Marquess in 1748, Powis was inherited by his Protestant kinsman, Henry Arthur Herbert of Oakly Park, Ludlow, who was made Earl of Powis by George II. In 1784 Lord Powis’s daughter, Lady Henrietta Herbert, married Edward Clive the eldest son of Clive of India. 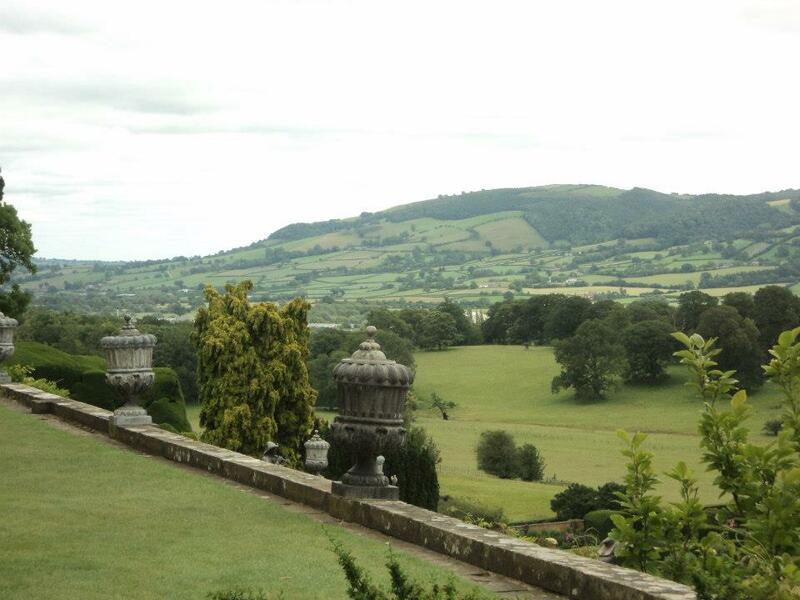 Their marriage led to the union of the Clive and Powis estates in 1801, and in 1804 the earldom of Powis was recreated for the third time for Edward Clive. Edward then, in accordance with his uncle’s will, duly changed his name to Herbert. 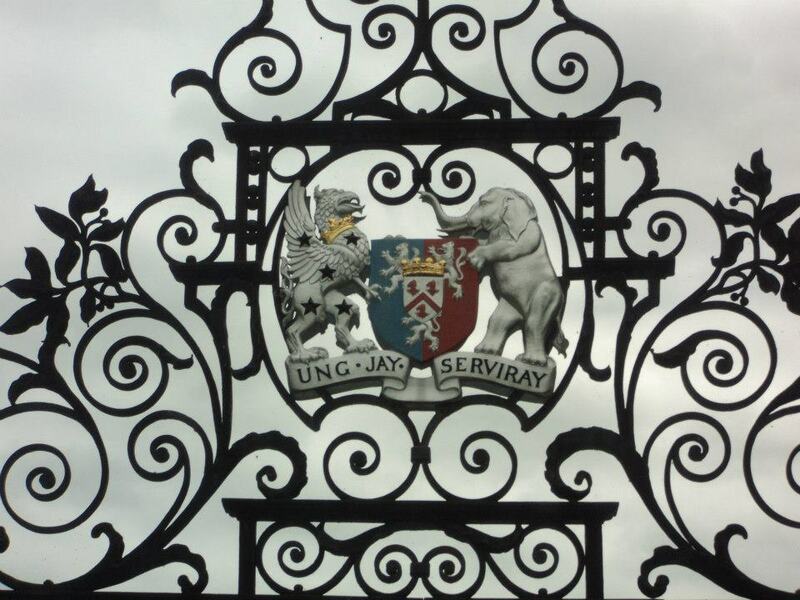 The Clive fortune paid for long overdue repairs to the castle which were carried out by Sir Robert Smirke. The garden and park were also improved. Part of Clive of India’s fine collection of old master paintings, French and English furniture, and Italian curiosities, were brought to the castle. 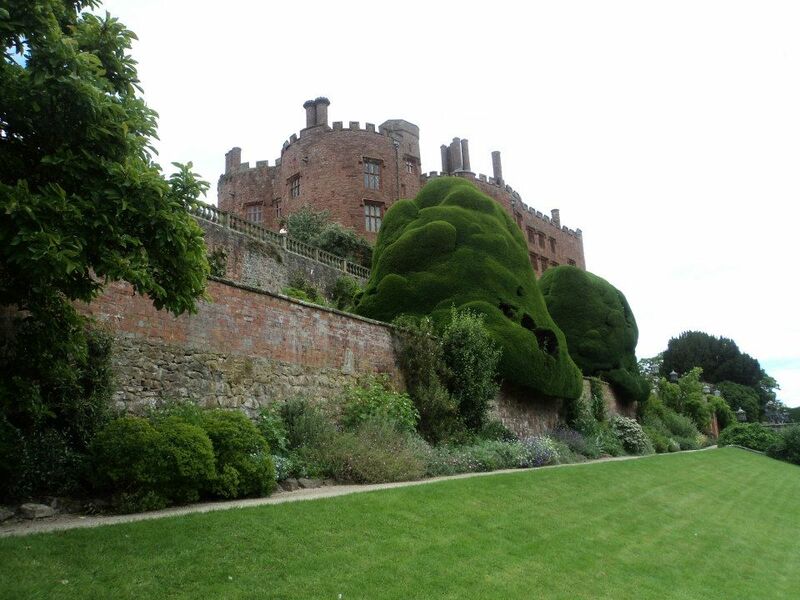 The final alterations to Powis Castle were undertaken at the beginning of the 20th century by G. F. Bodley for George Charles Herbert, 4th Earl of Powis (1862–1952) whose wife improved the garden which she felt had the potential to be `the most beautiful in England and Wales’. She died after a car accident in 1929 and Lord Powis also lost his two sons in the First and Second World Wars. 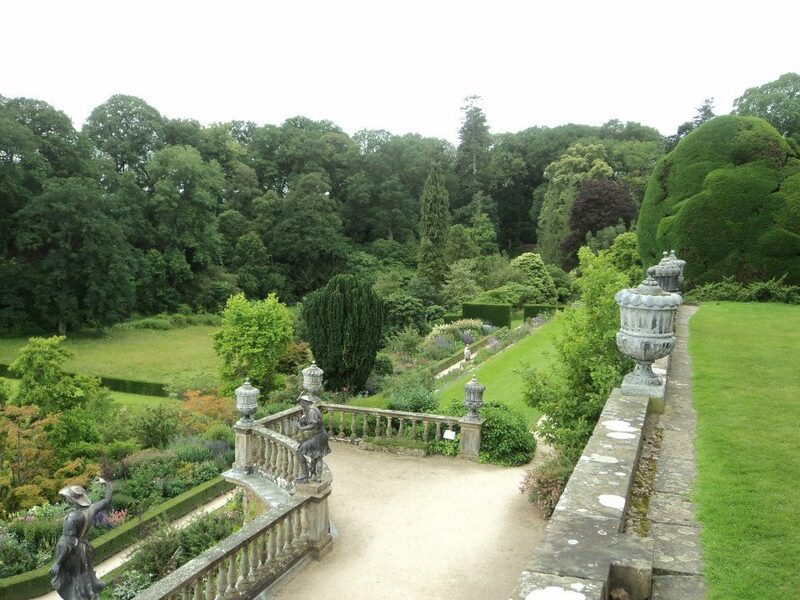 On his death in 1952, he bequeathed the castle and gardens to the National Trust. He was succeeded by his cousin, Edward Herbert (1889–1974), fifth Earl, whose widow, the Countess Powis, remained living in the dower house, and was succeeded in turn by Christian Victor Charles Herbert the sixth Earl. 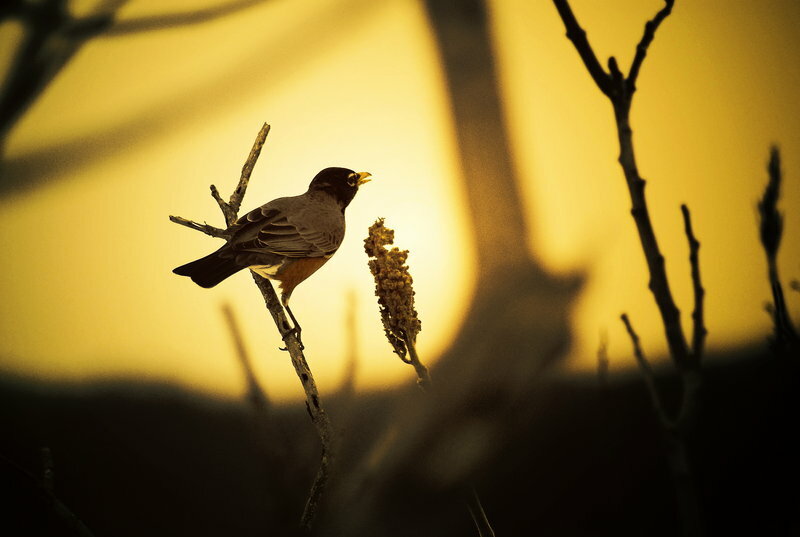 Never let yourself think that because God has given you many things to do for Him — pressing routine jobs, a life full up with duties and demands of a very practical sort — that all these need separate you from communion with Him. 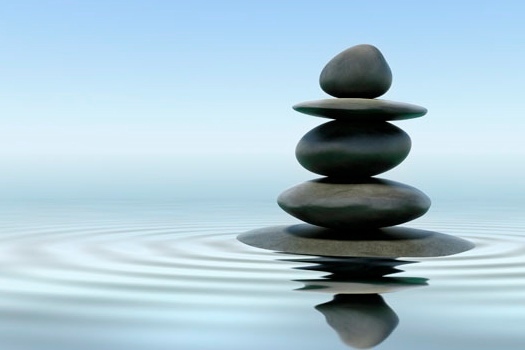 God is always coming to you in the Sacrament of the Present Moment. 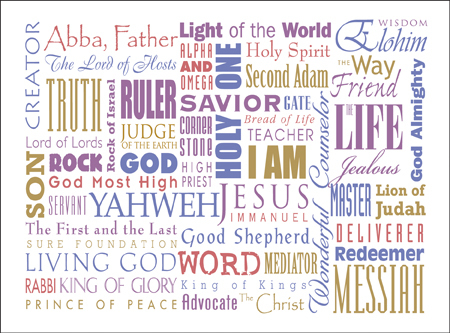 Meet and receive Him there with gratitude in that sacrament; however unexpected its outward form may be receive Him in every sight and sound, joy, pain, opportunity and sacrifice. If anyone has any doubt about the sheer complexity and difficulty of the work of a modern-day Prime Minister then this book and all 730 pages of it should dispel any lingering lack of understanding! It takes us into the heart of the work of government, the handling of the press, the management of a political party and the holding together of complex personalities and egos of politicians, their ambitions and their fantasies. It is the fourth in a series of books completing this particular stage of Campbell’s work. It begins with the harrowing circumstances around 9/11 and ends with Campbell’s resignation. 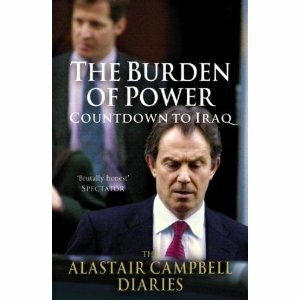 It is properly entitled ‘The Burden of Power’ and the reader can see the way 10 years of holding the office of Prime Minister has aged Mr Blair. Whatever you think of his politics then you will come out of this journey through the days and weeks of political struggle with some greater sympathy of the huge pressure that comes with responsibility. The relationship with Brown is splashed out across the pages and little is spared – speculation, argument, disappointment, anger and even despair – it is surprisingly that government worked as well as it did considering the dysfunction between number 10 and number 11 Downing Street! Campbell is not of course an unbiased commentator and we await other narratives that might provide perhaps a more balanced perspective on this relationship, including, of course that of Mr Brown. Campbell is reflective about himself, his depression and the pressures that working in 10 Downing Street put upon his relationship with his partner and his children. Despite the extraordinary aggressive and unrelenting style of Campbell there is a rather endearing vulnerability, self doubt, and redemptive self-knowledge about his strengths and weaknesses. Campbell is sour about the media and these pages will make unpleasant reading for many journalists – some of whom he dismisses with brutal and sneering disregard. Any historian of the conflict over Iraq will certainly need to examine the course of events as described in some detail here. No doubt strategists working for the Labour Party will look at some of what Campbell says in relation to evaluating the success of new Labour and the prospects of what may lie ahead of the present Conservative and Liberal coalition. It was certainly a long read but hugely worthwhile. When I get some time I shall have too cross reference some what Campbell says with Mr Blair’s memoir – in the meantime the grisly business of politics continues and we need to ask ourselves what kind of political culture best supports our living and aspirations as individuals, families and communities. We have not heard the last of Mr Campbell – there’s another story waiting to be told. A good read and worth persevering with as the nights draw in. 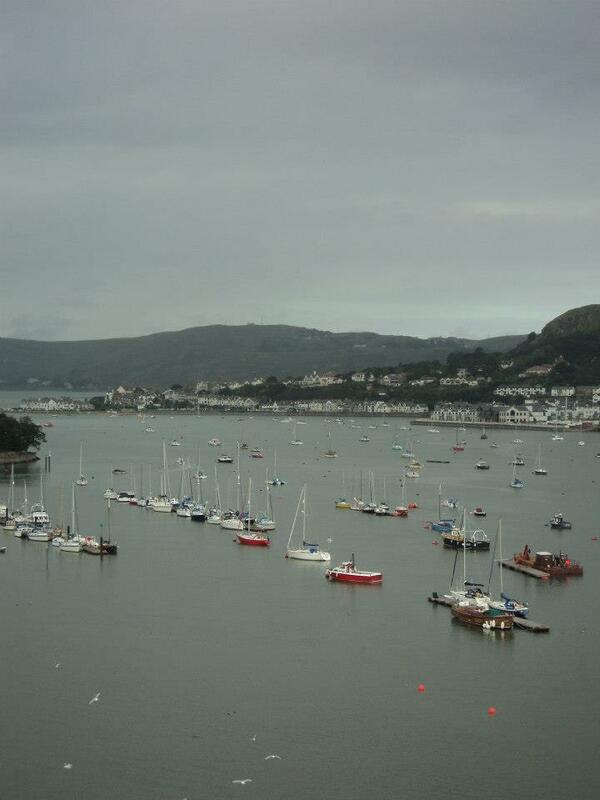 Life began in the town that was to become Conwy long before Conwy Castle stood here. 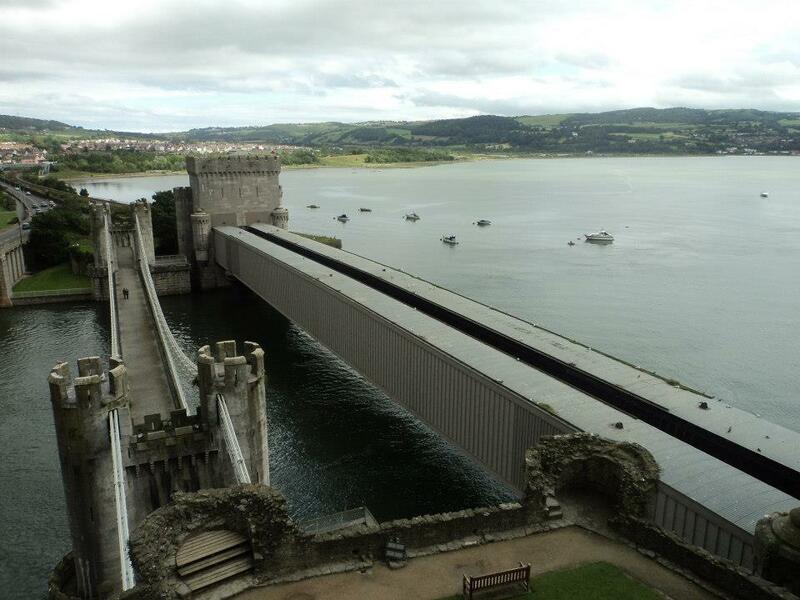 Welsh settlers recognised the region as naturally strong because of the large estuary and the abundance of food and the remains of an early fortification can still be found above the town of Deganwy on the opposite bank of the River Conwy. Some of the earliest permanent settlers in what was to become Conwy were the Maenan Monks who built an abbey within what is now the town. Parts of this abbey still remain today in St Mary’s Church located within the centre of the town. During the late 13th century Edward I of England sought control over the whole of what today is the United Kingdom. In north Wales the local population resisted his forces in battle along the coast and throughout the Snowdonia mountains. Heavily outnumbered and under equipped the Welsh forces were pushed backwards in the very heart of Snowdonia and into terrain that was difficult for the English to safely pursue. 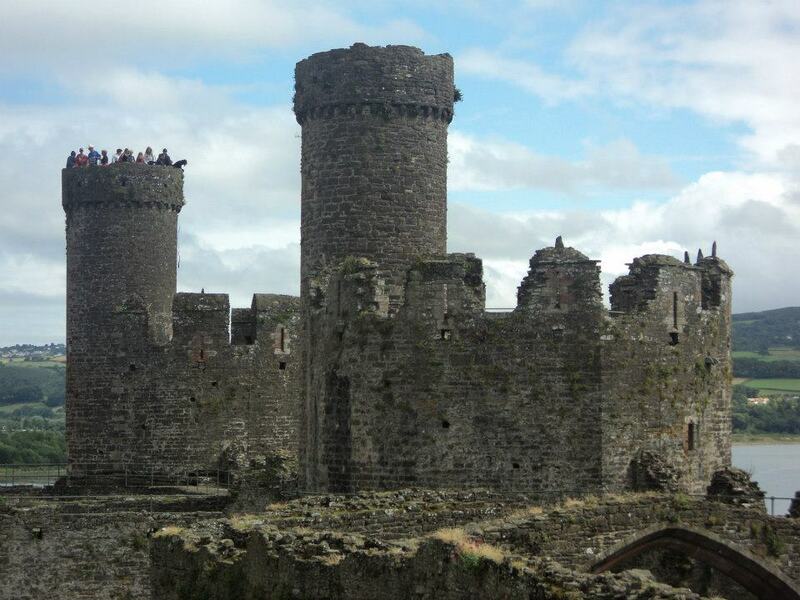 With the Welsh resistance in the mountains still strong Edward I decided that an ‘iron ring’ of castles would be built to quell the Welsh uprisings. One of these is Conwy Castle with the others being Ruthin Castle, Caernarfon Castle, Beaumaris Castle, and Harlech Castle. Each castle was designed by Edward’s master builder, James of St. George, a master architect of the time and renowned builder of castles. Standing at what is today the town of Deganwy the English decided that the natural outcropping of rock on the opposite bank was the ideal location for the castle. In 1283 the monks who inhabited the area were relocated by Edward I eight miles down the Conwy valley to a site near the town of Llanwrst. Although little remains of the relocated abbey a hotel and camp site now sits on the location. 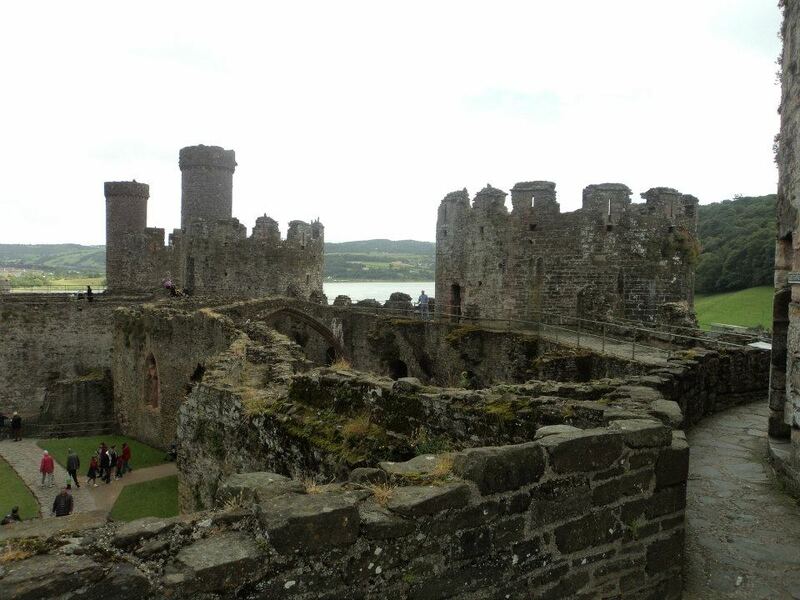 Soon after the construction of Conwy Castle and walled town began. The castle and town walls took a number of years to complete, from 1283 to 1287, and required more than 15,000 men to build, however once finished an undeniable symbol of the English dominance stood at the mouth of the river. Edward I moved English settlers into the town and for a long time the Welsh natives where banned from entering the walled town and the English lived as an effective garrison town along with the other walled towns constructed as part of the ‘iron ring’. In the following years the Welsh made many attempts to retake the areas around Snowdonia with the earliest attempts in 1295. Early in the 15th century the Welsh hero Owain Glyndwr led a rebellion against the English occupiers and captured Conwy Castle by trickery. However the occupation was short lived and Owain Glyndwr and his men were forced to flee back into the mountains of Snowdon before they were finally pursued to Harlech Castle in southern Gwynedd. As more years went by the garrisoning of the castle was stopped and it was allowed to become derelict. 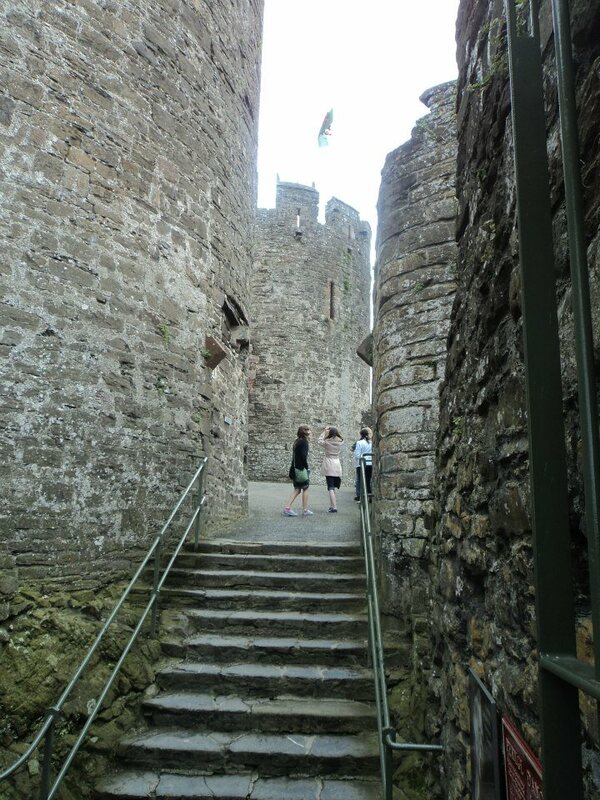 The English Civil War came to Conwy Castle in 1642 and the castle was regarissoned and repaired. During 1646 the parliamentary army laid seige to the castle for over 3 months before they finally captured it. Afterwards they destroyed areas of the castle to prevent reoccupation or reuse by the Royalists. After the civil war Conwy Castle was once more allowed to fall derelict and was effectively abandoned for long periods. 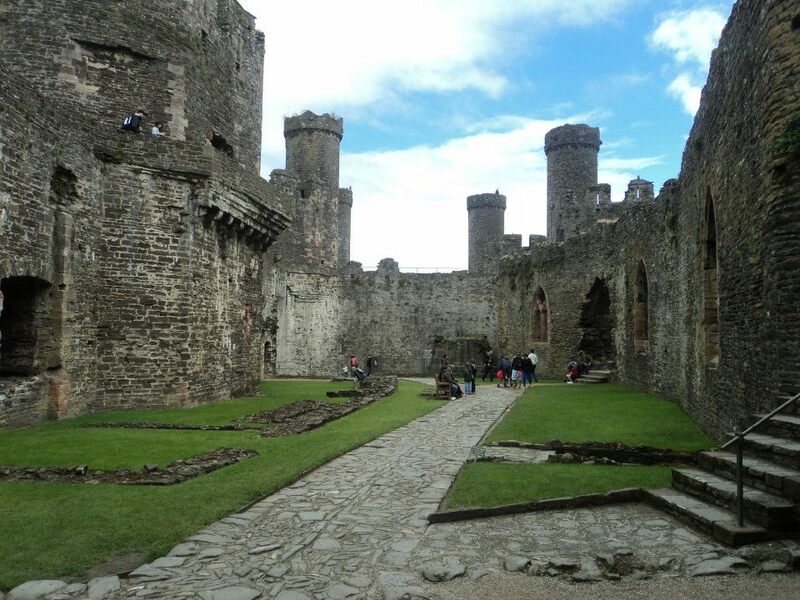 In more recent times Cadw, the organisation responsible for the maintenance and use of historic monuments in Wales, has been charged with opening Conwy Castle as a visitor attraction and looking after its upkeep. As part of their stewardship Cadw ensures that Conwy Castle remains open to the public for a small entry fee throughout the year. They also safeguard this historic building, one of the most visited in the whole of North Wales, and occasionally allow it to be used for special events.